Meigs senior Brentten Young settles under a flyball during the Marauders’ 1-0 win over Nelsonville-York on Friday in Rocksprings, Ohio. ROCKSPRINGS, Ohio — All you need is one. 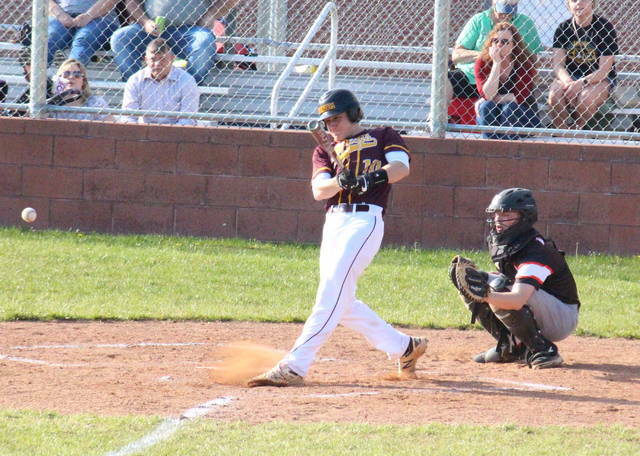 The Meigs baseball team snapped its three-game skid on Friday on its home field, defeating Tri-Valley Conference Ohio Division guest Nelsonville-York by a 1-0 count. The Buckeyes were held to just one base runner in the first three innings, but he was doubled-off on a flyout. Meigs (3-6, 3-2 TVC Ohio) left a runner on second base in the opening inning, and stranded one on first in the third. Nelsonville-York advanced into scoring position for the first time on a two-out error in the fourth inning, and repeated in the sixth, but brought neither runner around to score. 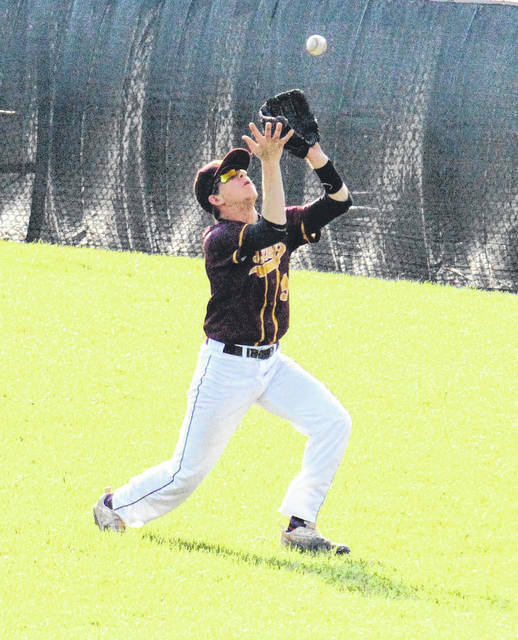 The Marauders scored the game’s only run in the bottom of the fifth inning, as Bryce Swatzel was hit by a pitch, moved to second on a Tyler Tillis sac-bunt, and then scored on a two-out error. The Marauders were thrown out between third and home, trying to add a run in the bottom of the sixth. Nelsonville-York put two runners in scoring position with two outs in the bottom of the seventh, but a strikeout ended the game and gave the hosts a 1-0 victory. Briar Wolfe was the winning pitcher with a complete game shut out for the Marauders, striking out five and allowing two hits and a walk. Williams suffered the loss in a complete game for the Buckeyes, striking out three batters and allowing an unearned run on three hits and a hit batter. 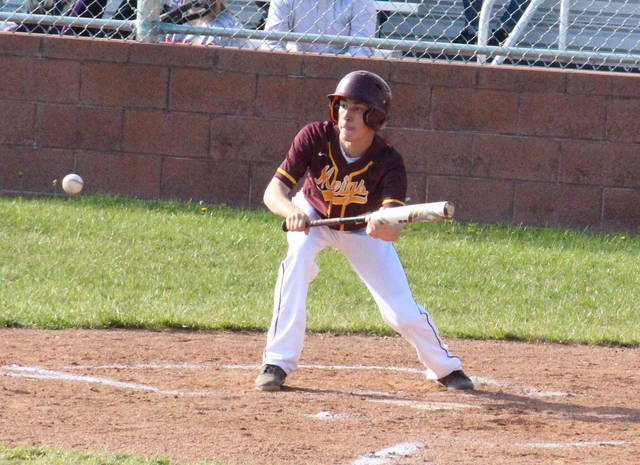 Cole Arnott, Cory Cox and Zayne Wolfe each singled once for the Maroon and Gold, with Swatzel scoring a run. Reece Robson and D.J. Hopins both earned a single in the setback. 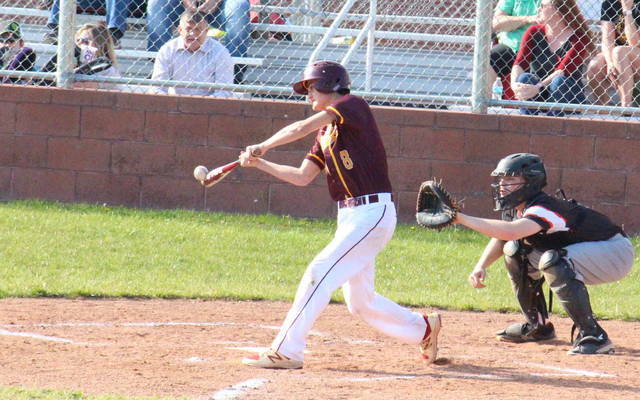 Meigs committed two errors and left four runners on base, while Nelsonville-York had four errors and stranded four runners. MHS will go for the season sweep of the Orange and Brown on April 27 in Athens County. After a trip to Philo on Saturday, the Marauders resume to TVC Ohio play on Monday at Athens.